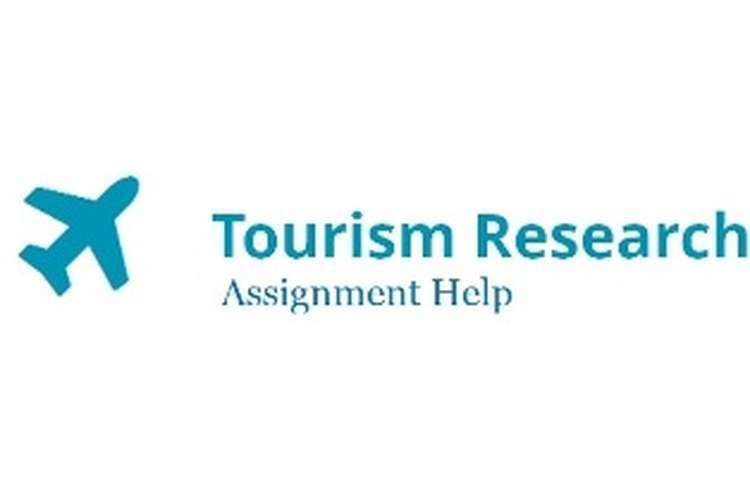 This tourism research assignment help is based on the preference of fast foods in the Melbourne rather than restaurants while tourists are visiting Australia. However, the main concern for the restaurants in Melbourne is they are running somehow in loss whereas the fast food production industry is rising like a giant. Depending on the concern the research proposal will conduct some literature review which will support the required literature and a proper methodology for the research to undertake it perfectly (Antoniolli, Atkinson and Palmer, 2013). In the era of tough business, the fast food industry is stepping in beverage or food industry as a threat to the restaurant industry (Antoniolli, Atkinson and Palmer, 2013). Fast food industry is now the growing business in the Australia. Apart from that, the fast food industry is gaining its profit from the globalization and less restriction of governmental norms and regulations. Globalization has affected the economic structure of the world. Somewhere, people who cannot effort costly foods they prefer the fast foods. The same goes for the visitors who are visiting Australia. They prefer the Australian fast foods rather than restaurants as they want to make their tour within their budget. In this way, the restaurants are losing their customers in tourism sectors. Apart from that, the quality of fast foods in the Australia is nest to delicious. It is noticed that the people are willing to have foods which will feed their hunger and also will be delicious(Khan, Hussein and Yaqoob, 2013). In Australia, the fast food companies are providing the best test and also at a reasonable price which is easily acceptable for the tourists. Another way the fast food industry is growing very well is the industry is very quickly. They can serve the test within a short while where the meal or dinner will be somewhere late to represent to the customers. In this way, the time-saving advantage is helping the fast food sector to grow in Australia and internationally as well. An organization like KFC is one of the best fast food company in the Australia. They have expanded their business worldwide, and now they are leading world fast food sector by staying in the 1st position. In this research, the uplifting forces for the rapid food industry and the back pooling forces for restaurant industry have been described(Khan, Hussain and Yaqoob, 2013). However, this is very much important for the restaurant industries in the world to be aware from now to bring their business in front of other organizations. The main scope of this research will be for the improvement of the restaurant industry(Piller and Tseng, 2010). In all discussion, the success factors of fast food companies are described properly. In the meanwhile, the strengths of fast food industry have become a weakness for the restaurant business. However, the research will give a clear estimation of should do activities for the restaurants which are running on loss in Australia(Piller and Tseng, 2010). From the research, the restaurant industry can get a clear view of the issues that they should fix in the restaurant industry. To understand the main concern of the tourists while they are visiting in Australia and have their foods. To determine the main strengths of fast food industries which are threats for the restaurant industries? To execute the exact ways where the restaurant industry will get back on the track in Australia. Why tourists prefer fast foods rather than restaurants in the Melbourne? What are the strengths of the fast food industry? Why fast food industry is becoming a threat for the restaurants? A literature review is based on the previous researches. In this research proposal, the previous research on the customer and visitor's preferences over fast foods than restaurant foods will give a clear idea why they chose the fast food section. From the literature review, the main analyzed and examined results have been applied to this proposal(New Literature, 2013). In Australia, the fast food corners are rising like waves. The most important factor that is creating this kind of difference between fast foods and restaurant foods is the preferences of tasty and spicy foods. Visitors are always searching for spicy food to enjoy their tour while they are in Australia. Melbourne is one of the great tourism sites in Australia(Genetic and Environmental Influences on Chemosensory Perception and Preferences, 2013). Here, many tourists are visiting daily to feel the beauty. So, the restaurants and the fast food corners are gathered here and most effectively fast food centers are making a huge profit than restaurants. Their spicy foods attracting the customers always. In this way, the fast food sector is increasing in Melbourne(Genetic and Environmental Influences on Chemosensory Perception and Preferences, 2013). Every tourist is concern about their time while visiting a place. They do not have that much time to wait in a restaurant for their meals. In this way, the fast food industry is very fast while servicing their customers(Plane pollution a fact, 2015). Melbourne is the best place for the tourists, and there are plenty of fast food centers where customers come and have their foods within a short time. This is also delicious and also very time-saving factor for the tourists who are visiting Melbourne. So, this strength of saving time for the tourists is one of the major weakness for the restaurant industry as they fell to meet the time concern for the tourists(Plane pollution a fact, 2015). Apart from all the factors, the most important and eye-catching factor is the food price and its difference between restaurants and fast food centers. It is examined that the tourists are very much budget conscious. They always try to save their money for any hazard while traveling. In this way, restaurant produces foods which are high in price and with that extra VAT and TAX is added. So, it is very much risky for any tourist to avail that food. Whereas, fast food shops have no value added tax or any other taxes. In this way, the price is nominal, and anyone can buy fast foods to meet their hungry while he or she are traveling(Plane pollution a fact, 2015). From the research, it is visible that fast food corners are available at any place of Australia not only in Melbourne(Johnson, 2011). However, the fast food sectors are increasing day by day as they are getting more customers at any time at anywhere. Whereas, if researched properly on restaurants, they are not available at every place. So, to avail restaurants in Melbourne tourists have to wait for a long time. However, this weakness of the restaurant industry is leading them backward. From the above all discussion it is visible that the fast food sectors are running with supremacy in the Melbourne and for that the restaurant business they are facing huge loss in the same place. In the recommendation part, the recommendation for the restaurant companies has been implemented in this work(Johnson, 2011)(Johnson, 2011). The research approach procedures and game plans which are picked by the examiner so that he/she can gather full information with little purposes of enthusiasm with a help of equipment's and diverse strategies are known as the investigation approach. The two most typical systems are the first is deductive, and the other one is inductive. Regardless, if there ought to emerge an event of discretionary data, an inductive approach must be picked(Biddle and Emmett, 2011). The inductive technique is truly a procedure by which universal guest can collect data from a little illustration or source and make suppositions basing on that. This way, the researcher can pick differing sources or respondents for the responses of universal guests. The examination outline is an imperative element as per the analyst because-because of the exploration plan the review proposition can get a legitimate structure. The review configuration is isolated into three sorts, for example, exploratory, informative and engaging(Biddle and Emmett, 2011). Also, the exploratory examination will help the scientist keeping in mind the end goal to conservative the gathered data about global guests who pick fast food instead of an eatery in Melbourne. Afresh, the examination frameworks are the same with the kind of information assembled for an investigation work. On the off chance that there ought to be an event of subjective information, the examination framework or methodology must be subjective(Johnson, 2012). Ordinarily the expert needs both sorts of examination system to fulfill an undertaking anyway it depends on upon the information and the point. Here the analyst has taken the offer of old some help with publishing reports, so the new theory must be created from them. It clearly suggests that international visitors who decide fast food slightly than a restaurant in Melbourne examination have the most noteworthiness here. There are a couple of ethics which are to be trailed by the master while performing an examination in the business part(Johnson, 2012). On the off chance that there ought to be an event of key information gathering like international visitors who choose fast food rather than a restaurant in Melbourne, the expert will never commandingly ask for that a man give meeting or take study. If there ought to emerge an event of utilizing discretionary sources, the researcher needs to offer credit to the old papers or reports from which the investigation information has been taken. This is ethics in the field of examination works for gather legitimate information about global visitors who want fast food pretty than eating place in Melbourne (Johnson, 2012). From the above discussion, it is clearly visible that the restaurants are in trouble for the rise of fast food centers in the Melbourne. Somehow, they should have to be aware of the fact and come to a solution of how to overcome these issues. The time factors, money price factors, and others mentioned factors should be judged by the restaurant industry if they have to re gain the position in Melbourne again. This proposal will help the future research with literature review and will give a great chance to discuss the appropriate recommendation and method of research. Antoniolli, R., Atkinson, L. and Palmer, M. (2013). Total lunchtime fast food purchases were lower in sodium and saturated fat when nutritionally promoted fast foods were ordered instead of traditional fast foods: A pilot study. Nutrition & Dietetics, 71(1), pp.41-45. Biddle, J. and Emmett, R. (2011). Research in the history of economic thought and methodology. Bingley, U.K.: Emerald. Genetic and Environmental Influences on Chemosensory Perception and Preferences. (2013). Helsingin yliopisto. Johnson, L. (2011). City farmer. Vancouver: Greystone Books.